Definitiv equips you with one platform from time and attendance, through to the payroll processing. Streamlining payroll and removing the need for multiple systems, Definitiv eliminates file uploads, reduces manual intervention and increases compliance, to free up your time and energy. Rather than having to conform to the constraints of a software with limited functionality, you can build a platform that suits the payroll needs of your business. 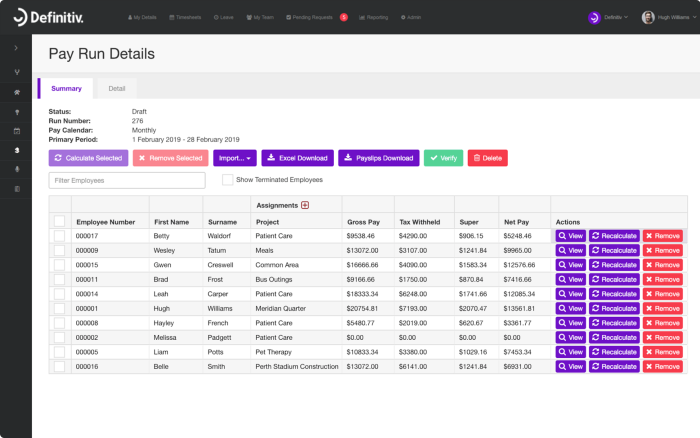 Assign costs to projects, locations, departments, roles, work orders and tasks. Track your payroll costs beyond Definitiv using General Ledger Codes. Definitiv caters for multiple pay calendars; pay, award and provision policies; shift types, work schedules, employment and even backdated policies. Definitiv takes care of all your pay cycles; weekly, fortnightly, bi-monthly, four weekly, monthly, quarterly, or anything in between. Have multiple operations? Manage the payroll and HR for multiple entities using the same account. For data integrity, each business is kept separate. 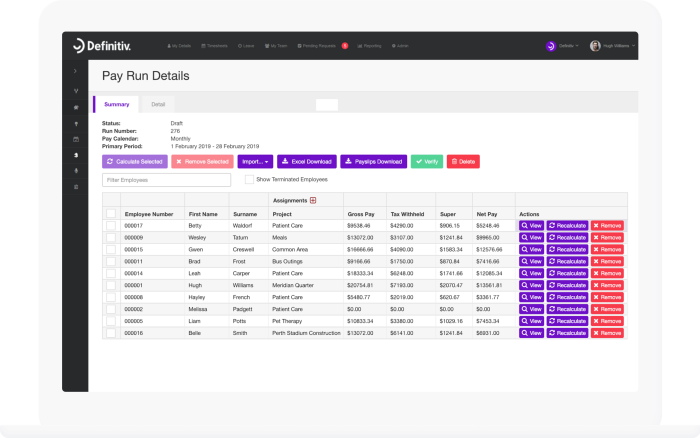 Award Engine automates payroll calculations. It is even able to recognise an employee covered by multiple awards on a single day. Automating the entire payroll process, Definitiv removes manual calculations, proven to increase processing efficiency by up to 250%. Our intuitive date driven technology means Definitiv can automatically interpret changes that occur during any given pay cycle. Say goodbye to all those tedious task, Definitiv can recognise new starters, changes to policies, promotions and much more. Calculating a back pay in Definitiv is quick and simple. Adjust the relevant policies or hours worked, along with the dates they to be applied, and Definitiv will do the rest. Definitiv takes into consideration previously processed pay runs, as well as any changes made since, to calculate the correct amount. 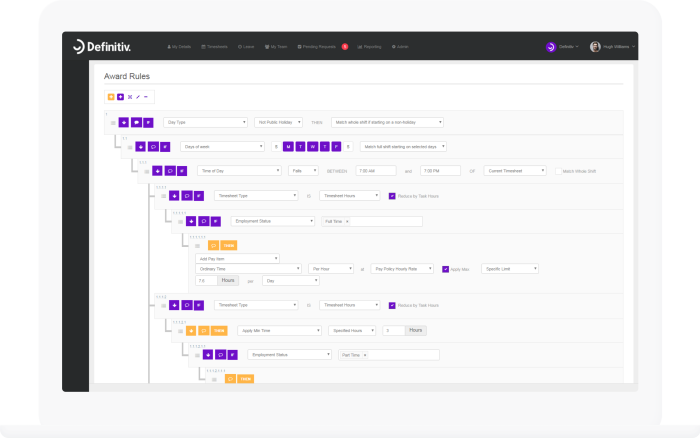 Using restful APIs, Definitiv integrates live with all well-known accounting systems and ERPs, removing the need to export and import spreadsheets. Streamlining your reporting requirements with the ATO, Definitiv is an approved Single Touch Payroll provider. No more lengthy end of year processing, Single Touch Payroll sorts your reporting for the ATO with a click of a button. Payroll is a fundamental function of any company that employs people. As your business grows, so does the complexity of your payroll. Capable of processing tens-of-thousands of employees with multiple pay cycles and awards, Definitiv is here to scale with your company.